You have a choice to join an open booking brunch cruise or create your own special event. For 60 or 500, we’ve got the perfect yacht for your brunch. 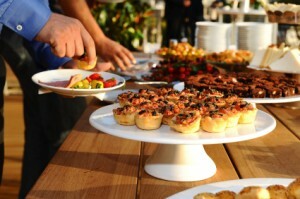 Our chef’s will provide a wide variety of brunch specialties including all your favorites. You can choose to eat inside or on the fantail or flybridge. Of course, that depends on the size of your group. Call or e-mail for more specifics. Similar to the Brunch Cruise, Dinner can be on an open booking for regularly scheduled cruises or we can create a special one-of-a-kind dinner. We depart form several locations and will be happy to provide you with more information. Come sail with us and take in the stars, the skyline or just breath in the wonderful salt air. It will take the stress away while you sip on your favorite beverage.